When recently the Chief of Army Staff, Gen. Tukur Buratai, invited media executives to Maiduguri for an interactive dialogue, one could not help but applaud the programme. It was a friendly, frank and sincere event aimed at evolving stakeholder engagement and enhancing military-media relations. However, a few days after the well-attended engagement, the Nigeria Army declared an activist, Dr. Perry Brimah, wanted over alleged fundraising for troops. 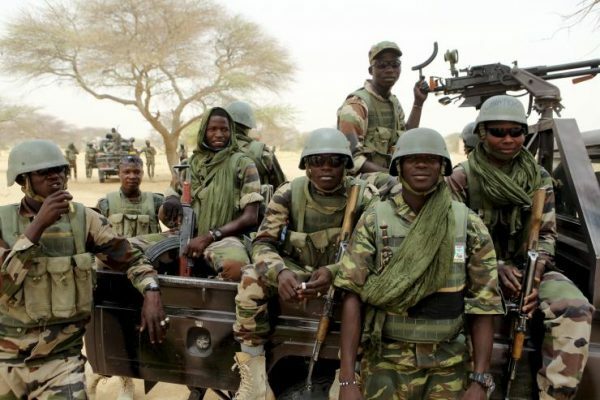 The military also subsequently raided the offices of Daily Trust and arrested some of its journalists over a report it had recently published on the counter-insurgency strategy of the Nigerian Army. These incidents were worrisome and portend a huge minus to the desired mutual military-media relations being striven towards. It might interest the army to note that similar media indiscretions during the previous administration of Dr. Goodluck Jonathan were well-managed, when news editors were inundated with confidential information in the name of â€˜exclusive reports.â€™ There were several instances in which the Nigerian media demonstrated excessive patriotism in protecting national security. During that period, the leadership of the Nigerian Guild of Editors, in collaboration with Gen. Chris Olukolade, the defence spokesperson, ensured that the security services put news editors in confidence about major operations, and the media were supportive, treating highly classified information with the delicateness it required. There is need to establish a better rapport and engage with the media and other critical stakeholders closely, for them to appreciate the efforts of the Chief of Army Staff. Some of them even lack basic information about much of Burataiâ€™s past accomplishments in commanding troops and in the communities he served. They might have forgotten that, as JTF commander, he stabilised the Niger Delta region, having wrested it from the scourge of armed militancy; as the commandant, Nigerian Army School of Infantry, not only did he train cadets in guerrilla war tactics and counter-insurgency manoeuvres, he also endeared himself to the troops before their eventual deployment as the first special forces to fight Boko Haram in the North-East. Yes, the army chiefâ€™s brief stint as the first Force Commander of the rejuvenated Multinational Joint Task Force (MNJTF), after the recovery of over two dozen towns from the terrorists, further consolidated our military gains and sustained relationships with neighbours. His hardline stance and no-nonsense approach to acts of terrorism, even while sustaining the personal losses of his country home in Buratai, which was burnt and security guard killed by Boko Haram, is a feat. In a nutshell, the most recent misunderstanding between the military and the media could have been better managed, if the military appreciates the media in reporting the war on terror. These journalists have information about some unpleasant developments in the North-East, but they nevertheless remain steadfast and supportive, with fair and occasional self-imposed censorship in their reportage to protect the integrity of the Nigerian security system. Much of the security challenges that have come up are associated with misinformation, disinformation and lack of credible intelligence. While the military can claim to have strong weapons, with their guns and bombs, the media actually possesses stronger weapons, with their pens and keyboards, in changing mindsets, engaging in psychological warfare, strengthening the fighting of troops, boosting the confidence of citizens and weakening the morale of terrorists. I dare urge that constructive engagement in information management is very essential at this crucial period.